The latest installment in the commodification and appropriation of our culture: Acura’s commercial for their 2016 MDX. In 2006 Lexus created controversy with an ad campaign featuring the Belgian Waffle from Burning Man. 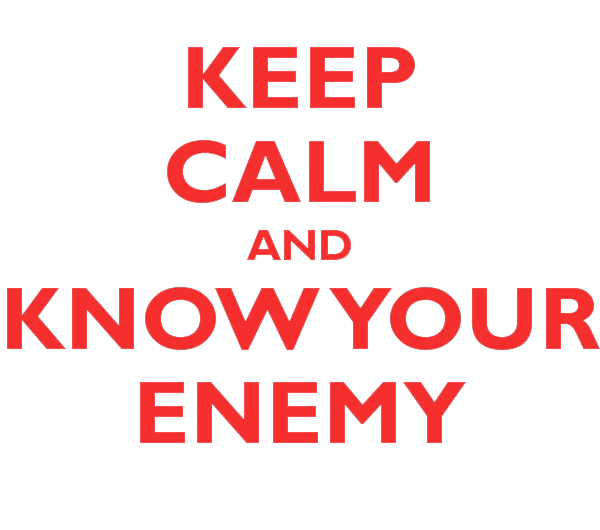 They say that knowledge is power, and that you should keep your friends close, but your enemies closer. For your empowerment, Burners.me presents the specific rules in use on the playa by law enforcement officers for dealing with YOU, burner. Take a good look, and if you’re at all worried about police encounters in Black Rock City, print a copy off so you can refer to it when the other Man tries to overstep his boundaries. . . but as always, school yourself on what to say — and what not to say — when you’re stopped, and never insist on your rights to the point of combativeness; if they violate yours, document everything and settle it later, with Internal Affairs, or in court. The temporary closure and temporary restrictions will be in effect from August 12, 2013 to September 16, 2013. Notice is hereby given that under the authority of the Federal Land Policy and Management Act of 1976, as amended (FLPMA), the Bureau of Land Management (BLM) Winnemucca District, Black Rock Field Office, will implement and enforce a temporary closure and temporary restrictions to protect public safety and resources on public lands within and adjacent to the Burning Man event on the Black Rock Desert playa. Gene Seidlitz, BLM District Manager, Winnemucca District, 5100 E. Winnemucca Blvd., Winnemucca, NV 89445-2921, telephone: 775-623-1500, email: gseidlitz@blm.gov. Persons who use a telecommunications device for the deaf (TDD) may call the Federal Information Relay Service (FIRS) at 1-800-877-8339 to contact the above individual during normal business hours. The FIRS is available 24 hours a day, 7 days a week, to leave a message or question with the above individual. You will receive a reply during normal hours. Sec. 11, that portion of the N1/2lying northwesterly of East Playa Road. Secs. 34, 35, and 36. Sec. 4, that portion lying northwesterly of East Playa Road. Sec. 34, that portion of the W1/2lying northwesterly of East Playa Road. The temporary closure area comprises 14,153 acres, more or less, in Pershing County, Nevada. The public closure is necessary for the period of time from August 12, 2013, through September 16, 2013, because of the Burning Man event activities in the area, starting with fencing the site perimeter, final setup, the actual event (August 25 through September 2), initial phases of cleanup, and concluding with final site cleanup. The public closure area comprises about 13 percent of the Black Rock Desert playa. Public access to other areas of the playa will remain open and the other 87 percent of the playa outside the temporary closure area will remain open to dispersed casual use. The event area is contained within the temporary closure area. The event area is defined as the portion of the temporary closure area (1) entirely contained within the event perimeter fence, including 50 feet from the outside of the event perimeter fence; and (2) within 25 feet from the outside edge of the event access road; and includes the entirety of the aircraft parking area outside the event perimeter fence. The temporary closure and temporary restrictions are necessary to provide a safe environment for the participants of the Burning Man event and to members of the public visiting the Black Rock Desert, and to protect public land resources by addressing law enforcement and public safety concerns associated with the event. The event is expected to attract approximately 68,000 participants to a remote rural area, more than 90 miles from urban infrastructure and support, including law enforcement, public safety, transportation, and communication services. During the event, Black Rock City, the temporary city associated with the event, becomes the tenth-largest population area in Nevada. This event is authorized on public land under Special Recreation Permit #NVW03500-13-01. While a majority of Burning Man event participants do not violate event rules or BLM rules and regulations, a few participants at previous events have caused law enforcement and public safety incidents similar to those observed in urban areas of similar-size populations. Incidents that have required BLM law enforcement action in prior years include: Aircraft crashes; motor vehicle accidents with injuries both within and outside the event perimeter; fights; sexual assault; assault on law enforcement officers; reckless or threatening behavior; crimes against property; crowd control issues; possession and unlawful use of alcoholic beverages; endangerment of themselves or others; possession, use, and distribution of controlled substances; and increased use of public lands outside the event perimeter. The Burning Man event takes place within Pershing County, a rural county with a small population and a small Sheriff’s Department. Pershing County has limited ability to provide law enforcement officers to work at the event. The temporary closure and temporary restrictions are necessary to enable BLM law enforcement personnel to provide for public safety and to protect the environment on public lands, as well as to support State and local law enforcement agencies with enforcement of existing laws. Use of the Black Rock playa by up to 68,000 participants creates potential impacts to public resources associated with disposal of wastes and litter. Implementation of the temporary restrictions will increase interaction with and education of users by BLM law enforcement and educational staff which will indirectly increase appreciation and protection of the public resources. A temporary closure and temporary restrictions order, under the authority of 43 CFR 8364.1, is appropriate for a single event. A temporary closure and temporary restrictions order is specifically tailored to the timeframe that is necessary to provide a safe environment for the public and for participants at the Burning Man event, and to protect public land resources while avoiding imposing restrictions that may not be necessary in the area during the remainder of the year. The BLM will post information signs and maps about the temporary closure and temporary restrictions at main entry points around the playa, at the BLM Winnemucca District Office, at the Nevada State Office, and at the Black Rock Visitor Center and on the BLM’s Web site: www.blm.gov/nv/st/en/fo/wfo.html. 1. All aircraft operations, including ultra-light and helicopter landings and takeoffs will occur at the designated 88NV Black Rock City Airport landing strips and areas defined by airport management. All takeoffs and landings will occur only during the hours of operation of the airport as described in the Burning Man Operating Plan. All pilots that use the Black Rock City Airport must agree to and abide by the published airport rules and regulations. 2. Only helicopters providing emergency medical services may land at the designated Emergency Medical Services helicopter pad or at other locations when required for medical incidents. The BLM authorizing officer or his delegated representative may approve other helicopter landings and takeoffs when deemed necessary for the benefit of the law enforcement operation. 3. Landings or takeoffs of lighter-than-air craft previously approved by the BLM authorized officer. 1. Possession of an open container of an alcoholic beverage by the driver or operator of any motorized vehicle, whether or not the vehicle is in motion, is prohibited. (1) Consumption or possession of any alcoholic beverage by a person under 21 years of age on public lands. (2) Selling, offering to sell, or otherwise furnishing or supplying any alcoholic beverage to a person under 21 years of age on public lands. (a) Title 43 CFR 8341.1(f)3 prohibits the operation of an off-road motor vehicle on public land while under the influence of alcohol, narcotics, or dangerous drugs. (2) The alcohol concentration in the operator’s blood or breath is 0.08 grams or more of alcohol per 100 milliliters of blood or 0.08 grams or more of alcohol per 210 liters of breath. (1) At the request or direction of any law enforcement officer authorized by the Department of the Interior to enforce this closure and restriction order, who has probable cause to believe that an operator of a motor vehicle has violated a provision of paragraph (a) or (b) of this section, the operator shall submit to one or more tests of the blood, breath, saliva, or urine for the purpose of determining blood alcohol and drug content. (2) Refusal by an operator to submit to a test is prohibited and proof of refusal may be admissible in any related judicial proceeding. (3) Any test or tests for the presence of alcohol and drugs shall be determined by and administered at the direction of an authorized law enforcement officer. (4) Any test shall be conducted by using accepted scientific methods and equipment of proven accuracy and reliability operated by personnel certified in its use. (1) The results of chemical or other quantitative tests are intended to supplement the elements of probable cause used as the basis for the arrest of an operator charged with a violation of paragraph (a) of this section. If the alcohol concentration in the operator’s blood or breath at the time of testing is less than alcohol concentrations specified in paragraph (b)(2) of this section, this fact does not give rise to any presumption that the operator is or is not under the influence of alcohol. (2) The provisions of paragraph (d)(1) of this section are not intended to limit the introduction of any other competent evidence bearing upon the question of whether the operator, at the time of the alleged violation, was under the influence of alcohol, a drug or multiple drugs, or any combination thereof. (a) Open container: Any bottle, can, or other container which contains an alcoholic beverage, if that container does not have a closed top or lid for which the seal has not been broken. If the container has been opened one or more times, and the lid or top has been replaced, that container is an open container. (b) Possession of an open container includes any open container that is physically possessed by the driver or operator, or is adjacent to and reachable by that driver or operator. This includes but is not limited to containers in a cup holder or rack adjacent to the driver or operator, containers on a vehicle floor next to the driver or operator, and containers on a seat or console area next to a driver or operator. 1. The possession of drug paraphernalia is prohibited. 2. Definition: Drug paraphernalia means all equipment, products and materials of any kind which are used, intended for use, or designed for use in planting, propagating, cultivating, growing, harvesting, manufacturing, compounding, converting, producing, preparing, testing, analyzing, packaging, repackaging, storing, containing, concealing, injecting, ingesting, inhaling or otherwise introducing into the human body a controlled substance in violation of any state or Federal law, or regulation issued pursuant to law. 1. Disorderly conduct is prohibited. (a) Engages in fighting or violent behavior. (b) Uses language, an utterance or gesture, or engages in a display or act that is physically threatening or menacing, or done in a manner that is likely to inflict injury or incite an immediate breach of the peace. (c) Obstructs, resists, or attempts to elude a law enforcement officer, or fails to follow their orders or directions. (a) Has been evicted from the event by the permit holder, Black Rock City LLC, (BRC LLC) whether or not the eviction was requested by the BLM. (b) Has been ordered by a BLM law enforcement officer to leave the area of the permitted event. 2. Any person evicted from the event forfeits all privileges to be present within the perimeter fence or anywhere else within the public closure area even if they possess a ticket to attend the event. The ignition of fires on the surface of the Black Rock playa without a burn blanket or burn pan is prohibited. The use, sale or possession of personal fireworks is prohibited except for uses of fireworks approved by BRC LLC and used as part of a Burning Man sanctioned art burn event. (a) The operator of a motor vehicle must possess a valid driver’s license. (b) Motor vehicles and trailers must possess evidence of valid registration, except for mutant vehicles, vehicles used by disabled drivers and displaying disabled driver license plates or placards, or other vehicles registered with the BRC LLC organizers and operated within the scope of that registration. (c) Motor vehicles and trailers must possess evidence of valid insurance, except for mutant vehicles, vehicles used by disabled drivers and displaying disabled driver license plates or placards, or other vehicles registered with the BRC LLC organizers and operated within the scope of that registration. (d) Motor vehicles and trailers must not block a street used for vehicular travel or a pedestrian pathway. (e) Motor vehicles must not exceed the posted speed limit. (f) No person shall occupy a trailer while the motor vehicle is in transit upon a roadway, except for mutant vehicles, vehicles used by disabled drivers and displaying disabled driver license plates or placards, or other vehicles registered with the BRC LLC organizers and operated within the scope of that registration. (g) Motor vehicles, other than a motorcycle or golf cart, must be equipped with at least two working headlamps, except for mutant vehicles, vehicles used by disabled drivers and displaying disabled driver license plates or placards, or other vehicles registered with the BRC LLC organizers and operated within the scope of that registration—so long as they are adequately lit according to Black Rock City, LLC Department of Mutant Vehicle requirements. (h) Motor vehicles, other than a motorcycle or golf cart, and trailers must be equipped with at least two functioning tail lamps, except for mutant vehicles, vehicles used by disabled drivers and displaying disabled driver license plates or placards, or other vehicles registered with the BRC LLC organizers and operated within the scope of that registration—so long as they are adequately lit according to Black Rock City, LLC Department of Mutant Vehicle requirements. (i) Motor vehicles, other than a motorcycle or golf cart, and trailers must be equipped with at least two functioning brake lights. (j) Motor vehicles and trailers must display an unobstructed rear license plate, except for mutant vehicles, vehicles used by disabled drivers and displaying disabled driver license plates or placards, or other vehicles registered with the BRC LLC organizers and operated within the scope of that registration. (k) Motor vehicles and trailers must be equipped with a mounted lamp to illuminate the rear license plate, except for mutant vehicles, vehicles used by disabled drivers and displaying disabled driver license plates or placards, or other vehicles registered with the BRC LLC organizers and operated within the scope of that registration. 2. The public closure area is closed to motor vehicle use, except as provided below. (g) Passage through, without stopping, the public closure area on the west or east playa roads. (a) A motor vehicle is any device designed for and capable of travel over land and which is self-propelled by a motor, but does not include any vehicle operated on rails or any motorized wheelchair. (b) Motorized wheelchair means a self-propelled wheeled device, designed solely for and used by a mobility-impaired person for locomotion. (c) A trailer is any instrument designed to be hauled by a motor vehicle. The public closure area is closed to public camping with the following exception: Burning Man event ticket holders who are camped in designated event areas provided by BRC LLC, and ticket holders who are camped in the authorized pilot camp. BRC LLC authorized staff, contractors, and BLM authorized event management related camps are exempt from this closure. The public closure area is closed to use by members of the public unless that person: is traveling through, without stopping, the public closure area on the west or east playa roads; possesses a valid ticket to attend the event; is an employee or authorized volunteer with the BLM, a law enforcement officer, emergency medical service provider, fire protection provider, or another public agency employee working at the event and the individuals are assigned to the event; is a person working at or attending theevent on behalf of BRC LLC; or is authorized by BRC LLC to be onsite prior to the commencement of the event for the primary purpose of constructing, creating, designing or installing art, displays, buildings, facilities or other items and structures in connection with the event; or is a commercial operation to provide services to the event organizers and/or participants authorized by BRC LLC through a contract or agreement and authorized by BLM through a Special Recreation Permit. The dumping or discharge to the ground of gray water is prohibited. Gray water is water that has been used for cooking, washing, dishwashing, or bathing and contains soap, detergent, food scraps, or food residue. 1. The possession of any weapon is prohibited except weapons within motor vehicles passing, without stopping, through the public closure area, on the west or east playa roads. 2. The discharge of any weapon is prohibited. 3. The prohibitions above shall not apply to county, state, tribal, and Federal law enforcement personnel, or any person authorized by Federal law to possess a weapon. “Art projects” that include weapons and are sanctioned by BRC LLC will be permitted after obtaining authorization from the BLM authorized officer. (a) Weapon means a firearm, compressed gas or spring powered pistol or rifle, bow and arrow, cross bow, blowgun, spear gun, hand-thrown spear, sling shot, irritant gas device, electric stunning or immobilization device, explosive device, any implement designed to expel a projectile, switch-blade knife, any blade which is greater than 10 inches in length from the tip of the blade to the edge of the hilt or finger guard nearest the blade (e.g., swords, dirks, daggers, machetes), or any other weapon the possession of which is prohibited by state law. Exception: This rule does not apply in a kitchen or cooking environment or where an event worker is wearing or utilizing a construction knife for their duties at the event. (b) Firearm means any pistol, revolver, rifle, shotgun, or other device which is designed to, or may be readily converted to expel a projectile by the ignition of a propellant. (c) Discharge means the expelling of a projectile from a weapon. Any person who violates the above rules and restrictions may be tried before a United States Magistrate and fined no more than $1,000, imprisoned for no more than 12 months, or both. Such violations may also be subject to the enhanced fines provided for at 18 U.S.C. 3571. Kentucky Fried Camp, a group of mostly Kentuckians and San Franciscans originally from Kentucky, is a breakfast camp on the 3:00 Plaza whose gingham-clad crew of sixty souls serves fried baloney sandwiches with shots of bourbon, accompanied by compliments delivered via megaphone. KFC also holds an annual race in high heels known as the Whoreshoe Derby, and is planning a cotillion this year featuring Southern belles in electrically-illuminated hoop skirts. Early this morning, their packed U-Haul truck was stolen, depriving the entire camp of critical gear for their stay on the playa. Shochat goes on to say that the response of the burner community so far has renewed his faith in humanity in general. “I went today from despondent to realizing that there are many more good people out there than bad,” he says with a twinkle in his eye. The truck, which was parked in the East Bay area near San Francisco before it was apparently hot-wired and stolen, is a 17-foot U-Haul with an auto-transport trailer attached. The design on the side of the truck is U-Haul’s “Venture Across America” #107, which is based on Mississippi wildlife and features a picture of a Mississippi Sandhill Crane, a long-billed bird with a bright red head and white neck feathers. The truck bears Arizona license plate AB-89694. If you spot the stolen truck, do not attempt to confront the occupants; assume they are armed and dangerous. Contact local law enforcement! If you tweet, you can also hashtag #KFCtheft to let the Kentucky Fried crew know that you’re on the case. You can donate to the camp’s relief and make sure they’re out there serving up baloney and booze by sending your PayPal contribution to the KFC general fund at skhendel@gmail.com. 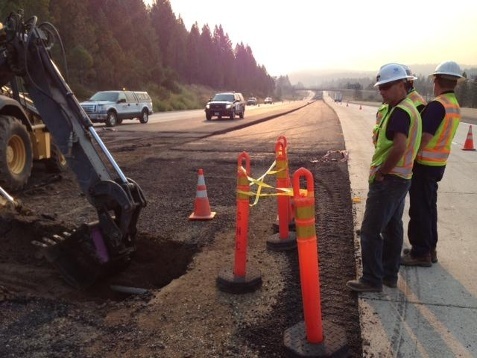 Caltrans reports that a sinkhole has developed in the center median on Interstate 80 in the Truckee area, near Donner Pass Road. The sinkhole, which was first reported this morning, is said to be approximately three feet wide and has forced the closure of two lanes, affecting both eastbound and westbound traffic. Travelers should expect delays, as the number one lanes in both directions are closed until further notice. Workers have been on the scene for much of the day, assessing the severity of the sinkhole and planning for repair work. The cause of the sinkhole is not yet known, but the problem became evident during paving undertaken by Caltrans early this morning. Other potential hazards on the road to Burning Man include numerous large fires, nearly twenty miles of washed-out shoulder on NV-447, and a reported massive increase in law enforcement activity both on the highways and on the playa. The Pyramid Lake Paiute tribe’s reservation, for instance, includes a stretch of highway with a lower-than-usual speed limit; the tribe is said to be enforcing that limit strictly, using at least two brand-new pursuit vehicles that some speculate were purchased specifically for this year’s Burning Man season. With heavy construction on alternate routes to the Black Rock Desert, there may simply be no getting around the various closures, hazardous road conditions, fires, speed traps, and law enforcement shakedowns. Be careful out there; make sure your vehicle is road-legal, your license is in order, and your knowledge of your rights and how to stand up for them are brushed-up. We want to see you on the playa with a smile on your face, not standing by the side of the road with all your belongings being tossed by uniformed thugs with dogs. . . or upside-down and on fire in a ditch. A lot of burners have been worried about the condition of Nevada State Route 447 since the recent heavy rains washed out a portion of the road. NV 447 is the main route in and out of Black Rock, and any really significant construction delays could cause some serious problems for tens of thousands of people trying to get to the playa. A recent edition of Jack Rabbit Speaks advised burners to exercise more than usual caution when driving out to the playa, stating that 447 had “taken a beating” and speculating that road repair work could possibly create a twenty-mile bottleneck of single-lane traffic. “Allow extra time for your journey,” advised the JRS. I personally drove 447 just a few days ago; at this point, what remains evident of the damage is nearly all to the highway’s shoulders along the stretch where the flooding was at its worst. It’s certainly true that construction work on the highway would be liable to cause delays even more serious than the actual damage to the road, but you can put the JRS down now and take a deep breath: in a thoughtful and canny maneuver that shows how well-regarded Burning Man actually is by local State and County authorities, the Nevada Department of Transportation (NDOT) has announced that they will cease all road work for a three-week period, to accommodate traffic going in and out of Black Rock City. “We’re so aware of Burning Man that we don’t do any major road work during the event,” said Scott Magruder, an NDOT spokesman. Magruder added that NDOT is currently doing all they can to repair the road as well as possible before ceasing operations entirely for the duration of the festival. With 447’s shoulders in a marginal state, further flooding – which happily is not expected – could wash the damaged section out entirely. Always check the weather before you head out to any wilderness, and plan accordingly. . . even if 60,000 of your best friends will be there waiting for you. Naturally, NDOT will have people patrolling the road to make sure everything flows smoothly. So will the Nevada Highway Patrol and various other law enforcement agencies, so make sure your vehicle is legit, and keep your big lead foot the hell out of the gas out there. I know it’s a temptation to go screaming balls-out down the road toward the best time you’ll ever have, but driving the speed limit will get you there just fine, while speeding might get you pulled over and potentially screwed right in the vacation-hole. . . or worse. Drive safely, arrive safely, and save the mayhem and madness for the playa.